Usually I have so many project ideas bouncing around in my head, the part part is deciding which project to make first. Life has been busy lately and I haven’t found as much time to be creative. When I do find a bit of time, I sit looking at my stash and don’t quite know where to start. It has been a while since I have had “bloggers block” but given that we have been blogging now for over 5 1/2 years, it is bound to arise every now and then. This weekend I made a stack of hexies using some pretty florals, ginghams, and polka dots (the same fabrics I used in the Pretty Box Pouch). They are very relaxing to make and working with the pretty fabrics has given me a great idea on how best to use them. I am finally excited about a project again and can’t wait to progress it along. 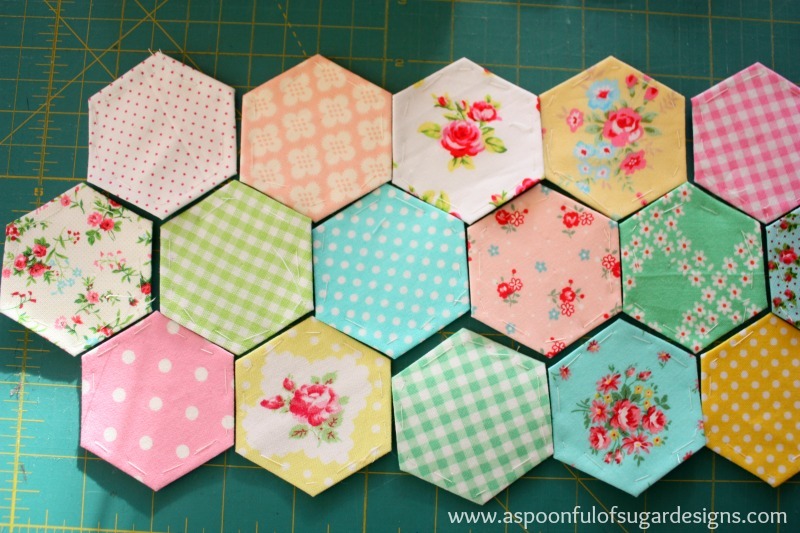 The hexies are going to be incorporated into a project which will be perfect for Christmas gift giving. 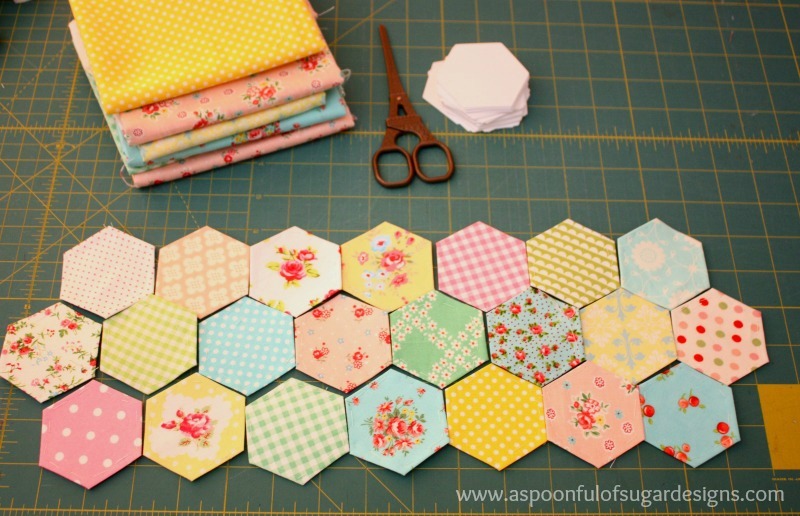 Cannot wait to see what these are going to make, I absolutely love hexies and its been years since I made one of my first quilts with them. Sounds intriguing! How nice to have your mojo back! Your hexies are beautiful. Love your choice of fabrics! I’m anxious to see what you are going to make. I am looking forward what you are doing. I love the hexies. Hi. Loving your blog!! I was stopping by in hopes of getting some help on a Martha Stewart Contest….I’ve been nominated and I was trying to get Votes…if you have time I would love to see you come by my blog, vote and also enter in a giveaway for your support!! Your able to vote 6 times in a row daily until Sept. 13th!! I would greatly appreciate it!! Thanks so much! Beautiful!!! Are you going to be sharing what you are making with this? 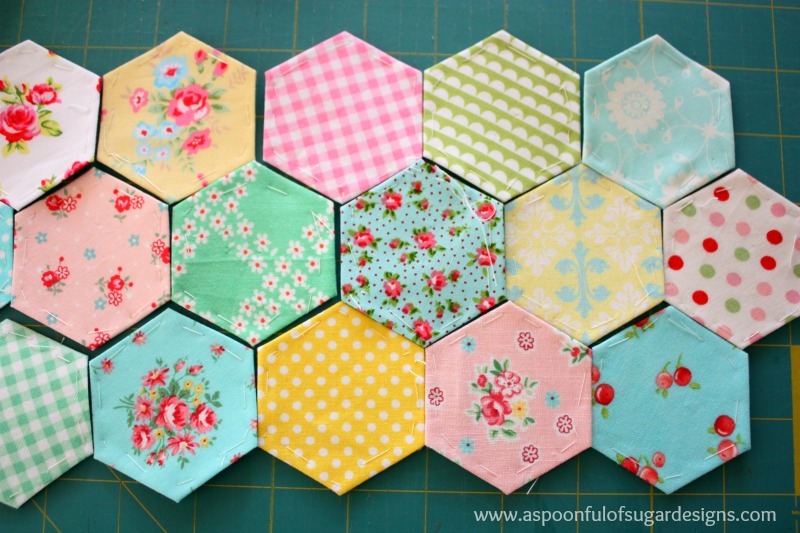 I have some hexies made up and would love to decide on a few gifts to I’ve for Christmas…. mmm very pretty. Nice colors and fabric choices. I am so pleased that someone else has the same problem as me. 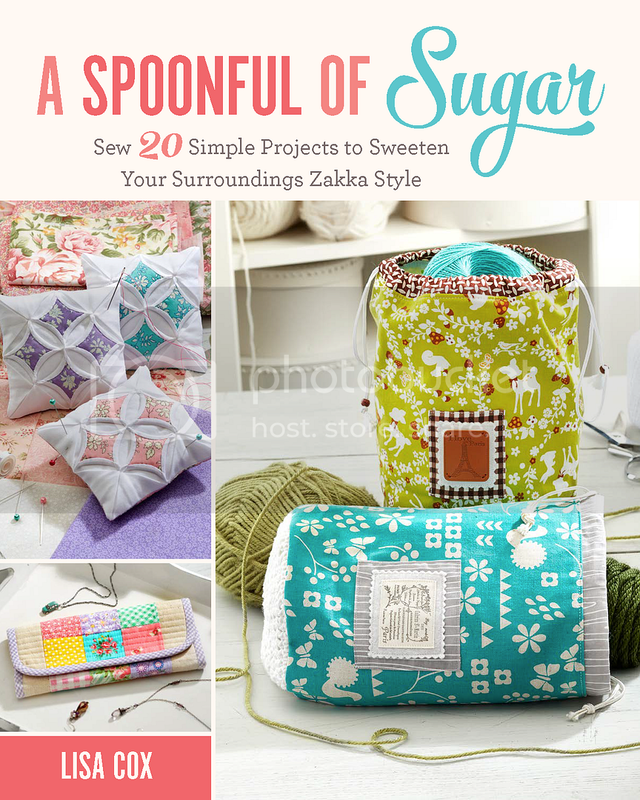 I buy these lovely fabric bundles and never quite know what to make using all the collection. Last week I took the plunge and separated all the fat quarters into colour piles, I have actually used some of them so will do that in future. I notice your basting stitches go thru the paper to the front? Then how in the world do you remove the paper? Also, need to learn how to sew them together? Just started making hexies as a travel project. Thanks for any help.